The “Happy Birthday” decoration still hangs across Dr. Michael Berger’s office door on 27th Avenue even though he turned 36 back on May 11, but he has another reason to celebrate this month: He has been named dean of the College of Doctoral Studies at Grand Canyon University. It’s not exactly a stunning announcement, given that Berger has been associate dean since last August and has been front and center in the college’s activities. But what is amazing is how he has gone from a temporary employee in curriculum development in 2004 to where he is today. GCU has grown by leaps and bounds in the last decade, and Berger’s career has ascended right along with it. Berger chuckles as he recalls his first office at GCU, in what is now the College of Nursing and Health Care Professions building’s computer lab. The 13 employees, all temporary, were situated at eight-foot tables, two to a table, with barely a foot of space on either side of the old, dingy computers they used. They even shared one phone. “If you wanted to call out you had to reserve the phone from, say, 11 to 11:15,” Berger said. The fact that he was here at all was pure happenstance. He and his wife, Heather Monigan, had moved here from Dayton, Ohio, where Mike grew up and attended the University of Dayton for both his undergrad (English and communications) and master’s (communications) degrees, because Heather had accepted a position at Intel. Mike just wanted to find something, anything, and was told of this little Christian university on the west side of Phoenix. Sounded OK to him. Before long, Berger was the manager and then, in 2007, the director of curriculum development. In 2009, he was named executive director of curriculum services, managing academic web services, curriculum design and development and the University library groups. 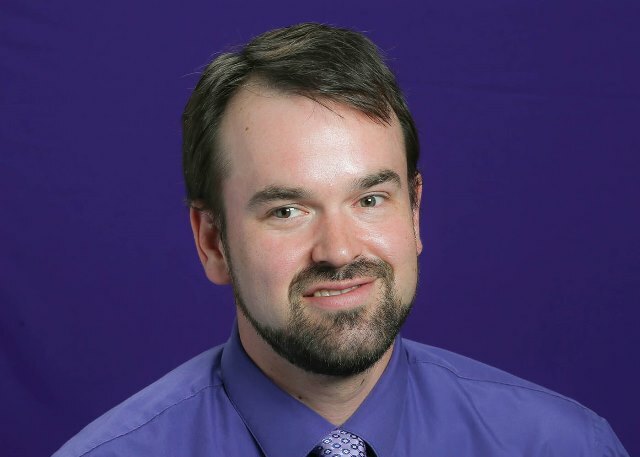 He was following in the footsteps of Jennifer Lech, now GCU’s senior vice president of academic affairs and registrar, who hired him in curriculum development and kept advancing him through the ranks when she needed something done right. She talks fondly of his sharp sense of humor and how neat it has been to watch him become the leader he is today without changing who he is or what he’s about. Berger, who got his doctorate of education in organizational leadership at GCU, moved over to Doctoral Studies in November 2012. He likes the fact that it’s considered a “growth college” and is eager to continue that growth. His immediate challenge is to manage a dissertation process that has mushroomed from 400 to 1,200 learners just like that. Berger said he’s planning for a time in the not-too-distant future when there will be 3,000. “We want to make it an optimum experience,” he said. Berger’s predecessor and now the University provost, Dr. Hank Radda, said he always has liked Berger’s “can-do” attitude. Being at GCU has been a good experience for Berger in more ways than one. He said he and Heather and their two children, Jackson, 8, and Kaylee, 5, take delight in experiencing all the activities the University offers, such as the theatre and basketball games. “The kids love the Fall Festival,” he said. He and Lech laugh about how their time at GCU should be measured in dog years – one year here is like seven years in other jobs. To the best of Lech’s knowledge, Berger is the only member of that curriculum development group in 2004 who is still here, and he looks at the experience with fondness. Way to go Dean Berger! Focus and hard work pays off! What a fabulous tale. Both you and GCU are blessed! Congratulations, Dr. and Mrs. Berger! We look forward to seeing you during Residency. Additionally, we are also trusting your most helpful posts will continue on the DC.